UX explorations are fast and rough, enabling more ideas in less time. Usually smaller companies work with a “designer,” or a design “team” composed of a designer and developer when developing products. This can be an excellent choice for smaller design projects or for creating a working prototype. However, for larger projects involving a lot of developers and complex user interactions, companies usually build design teams that incorporate several designers with specific skill sets. These teams can explore many ideas and provide iterations quickly. This is a huge benefit to the team, as getting the correct designs and user interactions must occur before user testing and final specifications can be created. Next, the UX Designer may challenge existing assumptions: Why does the technical specification call for a pop-up here? Does the user really need to see 6 options when they arrive on this page – if not, what are the top 3 they will need? As a rule, good UX designers are not really “order takers.” They tend to challenge existing conventions that don’t make sense, or propose ideas that may work better. Part of this initial conversation may be focused on understanding the technical limitations that may dictate solutions, while other conversations with the development team may open up new (or simpler) possibilities. Once a UX Designer has a good idea of the priorities for the site, they will create many visual explorations for key areas. 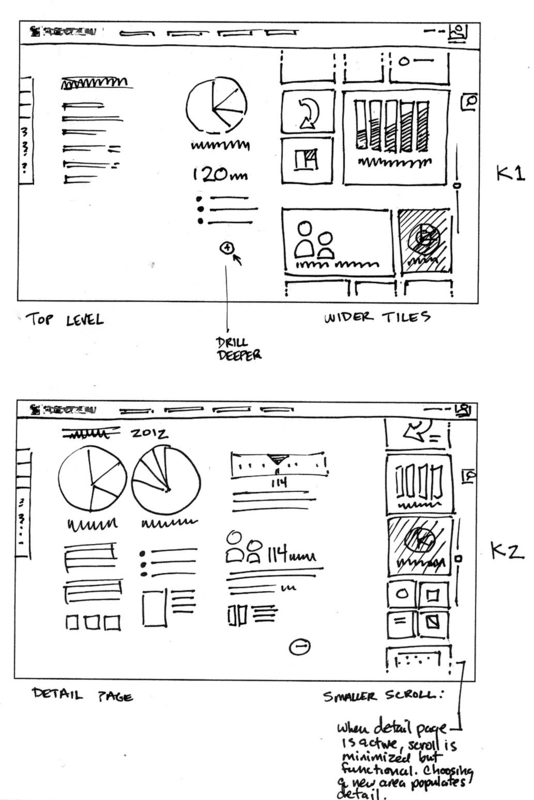 These are not “pretty” explorations – they are typically black and white, and can be hand-drawn (thumbnails), or they can be wireframes created with an application of their choice. The key during this phase is to explore and demonstrate possible user conventions and workflows. The layouts are typically tacked to a wall, and the team will review them and provide feedback by way of drawing on them or placing sticky-notes on the art with comments or suggestions. The quick explorations enable the team to choose the best conventions for additional considerations. In addition, representatives from the Development Team can also look at these first passes, and discuss the relative difficulty of one approach vs. another as it relates to the complexity of building out the solution. In addition, the UX designer may work with a User Research Specialist once initial designs are created. Together, they can run concepts or prototypes past users for feedback. The UX Designer often works with the Project Manager and Development Team members to determine if new ideas or conventions are realistic. Specifically, the entire team is tasked with creating a great user experience that meets time and budget constraints. Once new ideas are generated, ideas will need to be reviewed to see how they will impact time and budget. Typically, these projects have many additional key areas that need to be explored. The UX Designer will continue working on other areas while the UI Designer will begin working on refining of visuals. NEXT: What does a UI Designer do? Tags: design, designer, development team, interaction design, program manager, user experience, ux, wireframes. Bookmark the permalink.